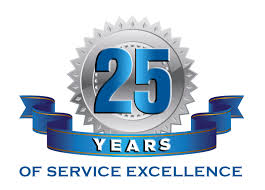 For over 25 years Antheon Technology Group (ATG) has been serving the technology needs of the business community. ATG is a full service technology consulting firm offering systems and network support outsourcing and integration; managed services; infrastructure design and implementation; software development and integration; Internet and cloud solutions; and business application software solutions. Founded in 1988 as User Friendly Computers, Inc., the company originally operated as a PC manufacturer selling, leasing and servicing custom-built systems. With the growing popularity of PC-based networks, by 1990, the company employed a number of network engineers and soon saw a majority of its revenue being generated from network design and installation services. UFC became iFocus Solutions Corporation. As the marketplace continued to evolve, so did iFocus’ services. By 1992, the company had added custom application development to its expanding list of specialties — with particular expertise in the area of web, collaboration and workflow solutions. Recognizing the fundamental benefits that the cloud could offer its clients in terms of scalable, reliable, enterprise-wide applications, iFocus invested heavily in the technology with training and strategic staffing. iFocus reinvented itself and added strategic partnerships with today’s leading technology companies. iFocus became Antheon Technology Group. Today, the Internet has indelibly change the business landscape, and as a result cloud technologies have become central to the services ATG offers its clients. Bringing together more than 25 years of expertise in hardware, software and services, ATG delivers powerful solutions that enable clients to move processes online helping them to better understand and respond to their customers; empower employees with access to critical business information; and connect with suppliers and partners. Being at the forefront of emerging trends in information technologies has been the focus of our company since its inception. Providing leading-edge solutions into the future is our mission.